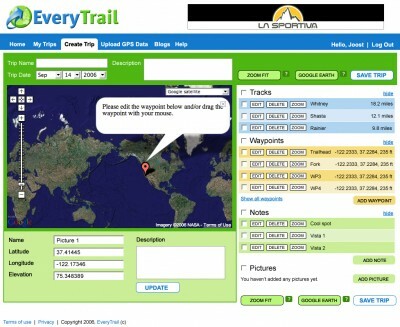 EveryTrail is an online platform that enables you to visualize your travel experiences and share these with fellow travelers from all over the world. 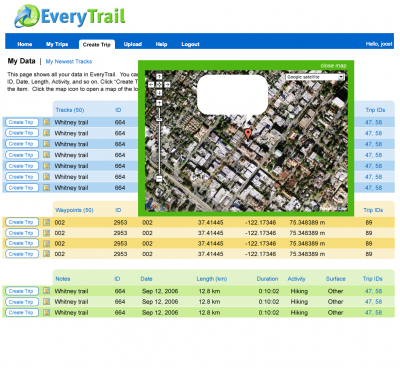 With EveryTrail you can easily upload GPS data you recorded while out on a trip and add your photos and notes, to create a compelling, interactive, visual record of your travel experience. 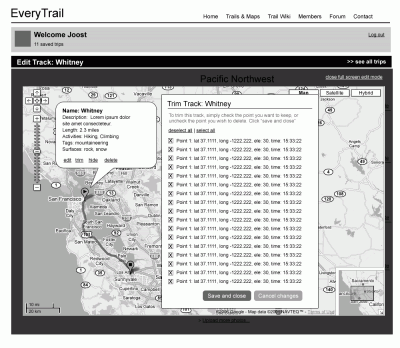 Ideacodes worked with EveryTrail CEO, Joost Schreve, to design the user interface for the alpha launch of EveryTrail. 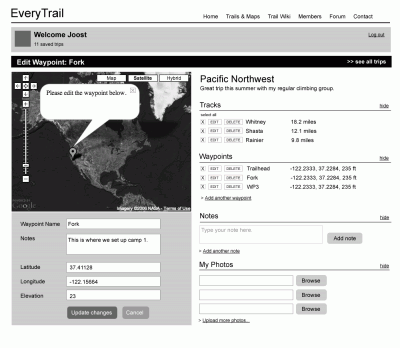 The designs involved the public site as well as member editable screens, GPS data upload, photo and video upload, and management of trip data. 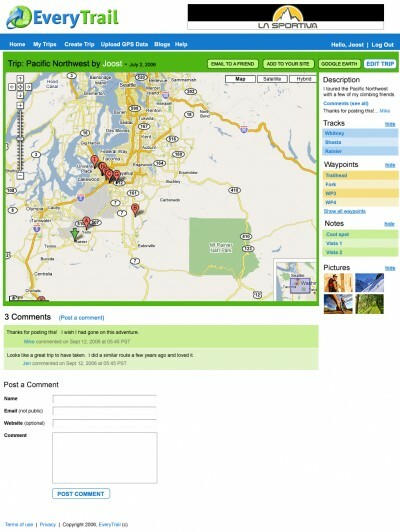 Visual concepts and UI design, UX, front-end code.